Camp GCUC is just for the novice. We will be giving you all of the information anyone who attends GCUC needs to know about starting and running their coworking empire. Attendance is limited so buy now and get ready to get rocketed into the 4th dimension! This is for new-to-coworking- folks only! 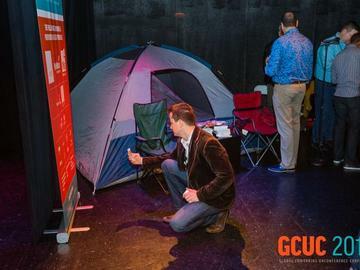 Camp GCUC ticket can only be purchased in conjuntcion with a GCUC2016 ticket. All Camp GCUC tickets must be purchased in conjunction with a GCUC 2016 ticket. You can not attend only camp. We have the right to review all ticket sales. Should you not be admitted, we will refund your ticket.